The Lorax is as adequate as it needs to be. And nothing more. 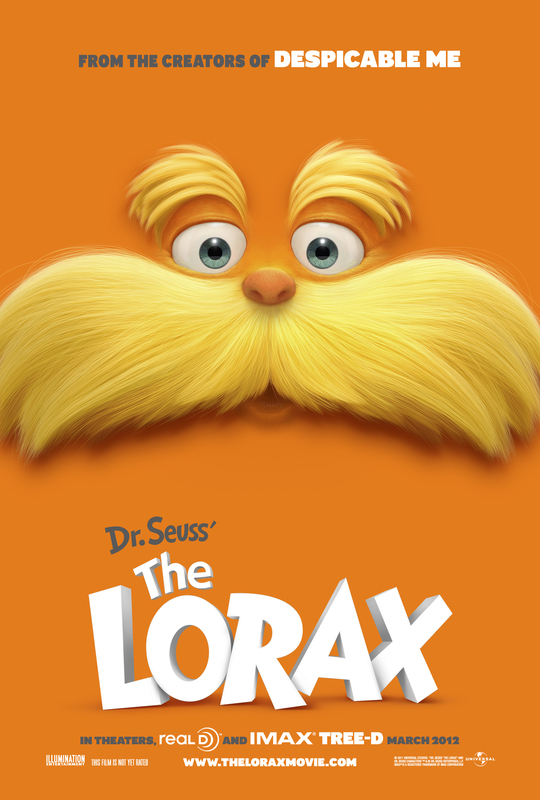 That could be taken as a swipe – and it kinda is – but despite all the overt reasons as to why it should be deserving of criticism The Lorax still manages to entertain, which I guess is the reason we go to the movies in the first place isn’t it? Thneedville is seemingly the perfect city. Clean, brightly coloured, sterile and processed to extract any semblance of true individuality. Everyone is nonetheless perpetually pleased – or at least they appear to be – especially O’Hare, the diminutive Big Business CEO who generously supplies the city with air. At a cost of course. You see Thneedville has no trees available to create a breathable atmosphere, a worthwhile outcome justified by those tired of raking up leaves, but lamented by those old enough to recall that trees were a bit of alright. As with every act ever committed by man, Ted is inspired by lust to bring trees back to Thneedville. It seems that Audrey, the object of his teen desire, has taken a liking to the concept of real trees over plastic or inflatable versions. So after some guidance from Grandma Ted heads off beyond the city boundaries to meet the Onceler, who may have celebrity parents given his stupid name. The Onceler may or may not have the information required to reforest Thneedville. The Onceler tells Ted of the days before Thneedville, when the area was lushly forested and filled with unbelievable adorably cute and fuzzy creatures. Creatures that sing, dance and hum at the drop of a hat. Unfortunately the Onceler also tells the regretful tale that lead to the deforesting and de-crittering of the same region, all of which paved the way for Thneedville. This despite the loud and forceful protestations of the Lorax, a moustachioed orange being who acts as the moral compass for the environment while the Onceler gets to destroying all around him. The Lorax is bright and vibrant, interspersed with numerous songs and of course filled with a cast of the famous and ‘so hot right now’. While it relays a pro-environment message so clumsy it would be stored in styrofoam if that weren’t so abhorrent to greenies, the target audience of this flick is under 10, and having one of that same demographic in my home I can say that sometimes blunt is all they understand. Final Rating – 7 / 10. The Lorax takes a great Dr Seuss bedtime story and pads it to a 90 minute pro-green message, filled with bright distracting colours and unthreatening Hollywood names. Somehow that isn’t a bad thing at all, as a parent though it just might be a little saccharine the 33rd time around.